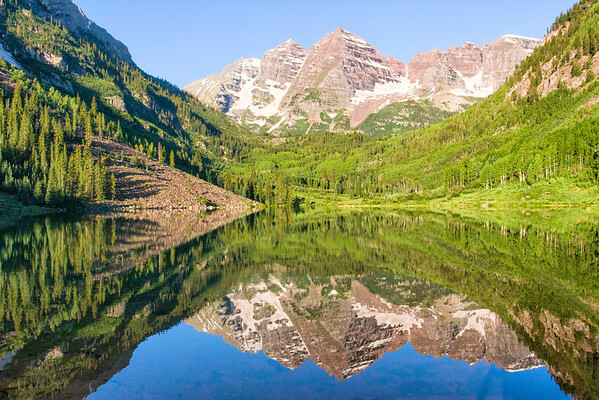 I had seen photos of the Maroon Bells near Aspen, CO and was excited to shoot them myself. I was surprised that Maroon Lake which reflects the Bells was so small. I shot this photo just after sunrise in July 2008. Even at the warmest time of the year, the altitude means cold temperatures before sunrise. The beauty of this place cannot be described but a good photo comes close.